Are you in need of a Professional Swedish Translation Services Provider in Sydney? You’ve come to the right place! Sydney Translations is among the leading Swedish translation services provider in Sydney. For more than seven years, we have provided high-quality Swedish translation services to businesses, individuals, organisations and government agencies in Sydney. We work with some of the biggest companies in the world but love all of our small clients all the same. All of our Swedish translators are NAATI certified and highly qualified to provide you error-free and accurate Swedish translation services. 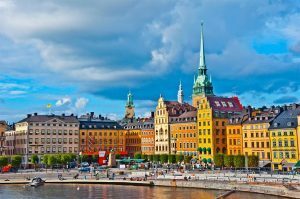 Time and again, they have proven themselves by producing top quality Swedish translation services that conform to the high standards of Australia in the translation industry. Get an instant Swedish translation quote by filling in your details on our enquiry form absolutely FREE. Need NAATI Accredited Swedish Translators? Look no further than Sydney Translations; we have a team of Swedish NAATI translators who have undergone rigorous training and possessed years of experience. Upon receiving a translation project, we match the most qualified Swedish NAATI translator and project manager to handle your document from the start of the translation process to the end of delivery. You will be confident that your document was translated with utmost care and fast turnaround at the most affordable rates. Starting at $69 per page, you can avail of a Swedish NAATI translator who is capable of translating your document at a fast turnaround and precision. Pricing varies according to the document’s subject matter, schedule and complexity. Get an exact quote emailed to your account in 15 minutes by simply completing the translation form at no cost to you whatsoever. Whether you are in need of a Swedish to English or English to Swedish translation services, we can accommodate your translation needs. In 2-3 business days, expect that your Swedish translation is already completed. Inform us if you need your document sooner. We provide Instant and Express Swedish translation services for urgent cases. Here, we send our clients their finished translations in no more than 24 hours. Get started, complete the online form and let us know when your deadline is. We will send you a firm quote in less than 15 minutes. We cover not only personal documents but also the business, financial, marketing, technical, engineering, legal, medical and many more fields. Send us your document today through the quotation form, and we will email you a quote after we have assessed your document. Follow these simple steps to order a translation project. Complete the translation form on this page. Attach a clear scan of your document. Check your email in 15 minutes. We have sent you your exact quote. Pay for the translation order via bank transfer, PayPal or credit card. Once we finish your document, we will send you a draft for you to check. If you are satisfied, we will email you the final translation and a hard copy by post. More than 8 million people speak the Swedish Language as a first language in Sweden. Swedish is mutually intelligible with the Norwegian and Danish languages because of their similarities. The Swedish language came from old rural dialects as far back as the 19th century. Subject-verb-object is used in the Swedish language written form. Get a free quote within 15 minutes by simply filling in your details on the translation form.